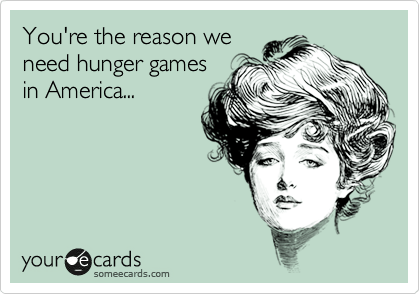 In the trilogy, The Hunger Games, written by Suzanne Collins, we are introduced to a world where government goes wrong. Not that I want to get into the decline of human nature, but there is one aspect of the novel that I would like to focus on. It’s the Jabberjays. According to the Wikipedia definition, a Jabberjay was “engineered to be able to remember human conversations and repeat them verbatim with human voices, and thus to be able to spy on the rebels with small likelihood of arousing suspicion.” In essence these little birds were bred with the intention of floating above the human population, undetected, only to report back to the government the movement of the people and anyone that was plotting against them. If you’ve read the series (if you haven’t, I strongly recommend that you do) you’ll see how this bird in the sky back fired on the Capitol (their government) and how eventually, in conjunction with other government strong holds, the people united against the evil of the Capitol and triumphed. Fast forward to the real world and I can’t help but to be reminded of the Jabberjays when I think of the current administrations use of drones. 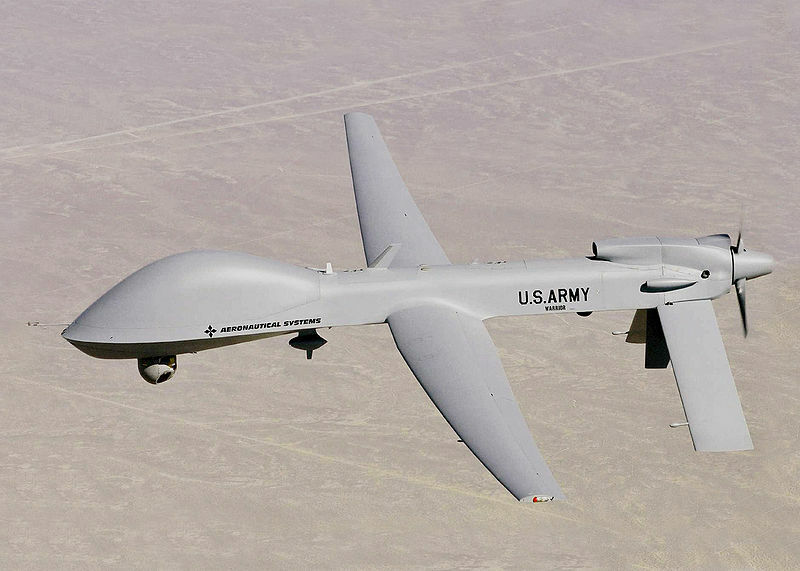 A drone is an aircraft without a human pilot, or as more commonly referred to as, an unmanned aerial vehicle. The idea behind them is that they can be placed over enemy territory and spy on their target. Just as the Jabberjays, they are used for intelligence purposes. Unlike the Jabberjays, they can be armed with weapons and with pinpoint accuracy take out a target without the use of military personnel on the ground. In an attempt to bring combat missions to an end, thereby securing the safety of our troops, these drones are constantly being used on the war against terror. To date, 3,540 people have been reported killed by these drone attacks. Where they all terrorist who want nothing more than to hurt the American people? Nope! It’s been reported that anywhere between 411 to 884 were civilians and 168 to 197 were children. (Click here for the source). Now, do those numbers sound accurate to you? I mean there is a huge difference in those calculations. I am not good in math, but last time I checked there was a big difference between 411 and 884. Who exactly is taking down these stats? I wonder. . . what color crayon did they use? I hope it was pink. According to a speech by President Obama dated May 23, 2013, he stated that drone attacks are precise. Precise? Really? How on earth can they be precise when you have so many civilians and children injured in the process? Did the calculating pink crayon smear in the fit of joy of nailing that one terrorist, thereby fudging the precise number of casualties? The President further stated that “putting U.S. boots on the ground may trigger a major international crisis.” Now forgive me if I am wrong, but doesn’t the injury of so many civilians and children harm our international standing, anyway? I’m pretty sure that I don’t stand alone when, if, confronted with the horrible situation of standing next to some terrorist who was about to be taken out by our military; I would prefer a soldier, who has discretion, to walk up with an M-16 and take out the terrorist they are looking for instead of a drone dropping a bomb into the “general area.” I don’t want to suffer for the hate that someone else has in their heart, just because I had the misfortune of shopping in the same supermarket they do. When this administration is confronted with the number of civilian casualties, the American people are reminded that no war is without casualties. The people are also told that the terrorist death toll to date dwarfs the amount of casualties in the drone attacks. In other words. . . . its OK, the American government isn’t as bad as the terrorist. When would any American want to be in the same ball park as a terrorist anyway? Both literally and figuratively. According to the President, congress is briefed on all strikes and they do not intend on having armed drones fly anywhere over the United States. The goal of the American government is to “detain, interrogate and prosecute” all terrorist. Americans do not have to deal with the horrific humming of drones following us to the nearest Starbucks in the morning. Ummm, well, that might soon be a wrong statement. First of all, there were American citizens who were targeted in the drone attacks. Four to be exact. Hey remember this little thing called The Constitution? What happened to due process? What happened to innocent until proven guilty? The Fifth and Fourteenth Amendment “prohibits all levels of government from arbitrarily or unfairly depriving individuals of their basic constitutional rights to life, liberty, and property.” Let me reiterate that for you, PROHIBITS ALLLLL LEVELS OF GOVERNMENT FROM DEPRIVING INDIVIDUALS OF THEIR BASIC CONSTITUTIONAL RIGHTS TO LIFE!! However, when any American citizen plots war against America and is unable to be captured, then according to President Obama, “citizenship should no more serve as a shield than a sniper shooting down on an innocent crowd should be protected by a SWAT team.” They have used this fear of terror in order to deny these rights to U.S citizens abroad. How far can this fear of terror extend? This raises the alert flag to red. Laws and rules were put in place for a reason. If basic constitutional rights are denied to citizens who are outside of the country, what’s going to stop these same rights to be denied to a citizen who is at home? Whose to say that a sly comment or a disagreement with a policy or a person isn’t enough to claim that YOU TOO have raged war against the U. S of A and don’t deserve the right of due process and being tried in front of a jury of your peers. What happens when the First Amendment is used against you? Previous Post Una Colada Porfavor!